This week is school vacation. What is the first thing my boys do when they wake up? Turn on the video games. Even before breakfast! We have a few guidelines in my house. We’ve developed them over time to help them make decisions that aren’t always electronics first. Here are my ideas to encourage more play and less electronics. Compromise. My kids will ask to play and I agree to half an hour if their next half an hour afterwards is something on the To Do List (see below!). Timer. Find a fun timer. My boy’s favorite one is to Ask Alexa to tell them when time is up. Reward Charts. 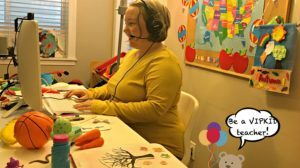 If they get off exactly when they are supposed to (and you KNOW mamas this can be hard!) they get a mark on the chart. You can make the rewards individualized – my 8 year old loves to go out and get an ice cream shake. Or family centered, like bowling night. Make a To Do List with a list of options that are non-electronic. They love looking at the list and making a choice. Go outside. My sports loving boys knock on the neighbors door and get a game of football going. Or ride their bikes down to the park to run around for awhile. Walking the dog is a great option too! Read. I’ll even drive them down to the library that day if they want something new. Brand new activities they haven’t seen before. Doesn’t have to be toys. Books, puzzles, stickers. The best places to find these cheap is the clearance section at big book stores or the dollar stores. DIY crafts. Head to Pinterest, search a topic, and a bazillion ideas will pop up! Cooking. Get them involved with the meal planning, preparing and cooking of dinner. Bake a sweet treat every week. This not only lets them appreciate what you do in the kitchen, but they will try new foods which is a huge win in my book. Bring out stuff they haven’t seen in awhile. The other day I brought down a few board games we haven’t played in months. It instantly turned into Family Game Night for hours! Play. This one seems obvious, but let me tell you I have to remind my 8 year old to play with his toys instead of choosing the electronics first. I love to bring out the toys that make him get on the floor. Cars, blocks, and our newest love PLAYMOBIL. 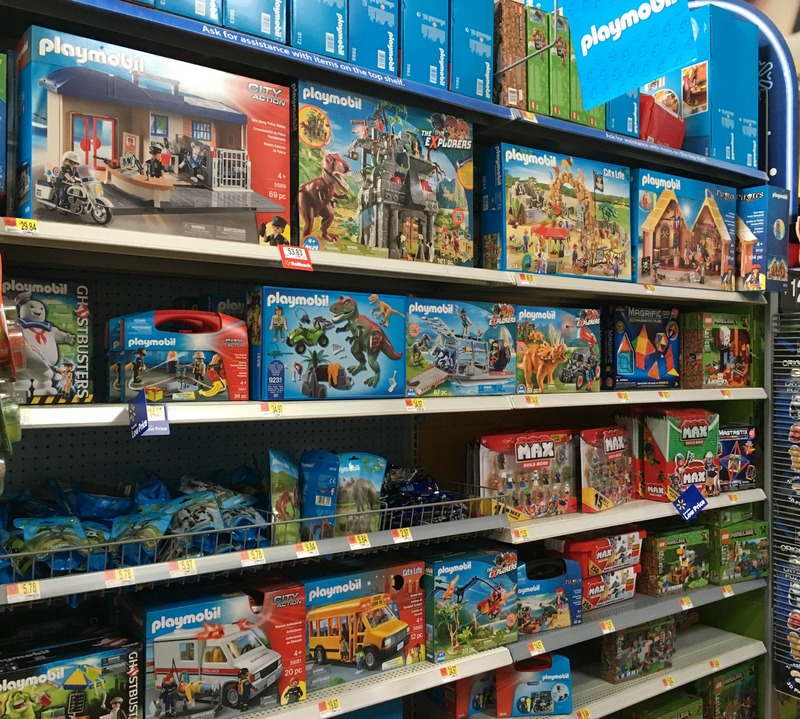 Walmart carries the newest PLAYMOBIL toys! Perfect to stock up for gifts this holiday season. 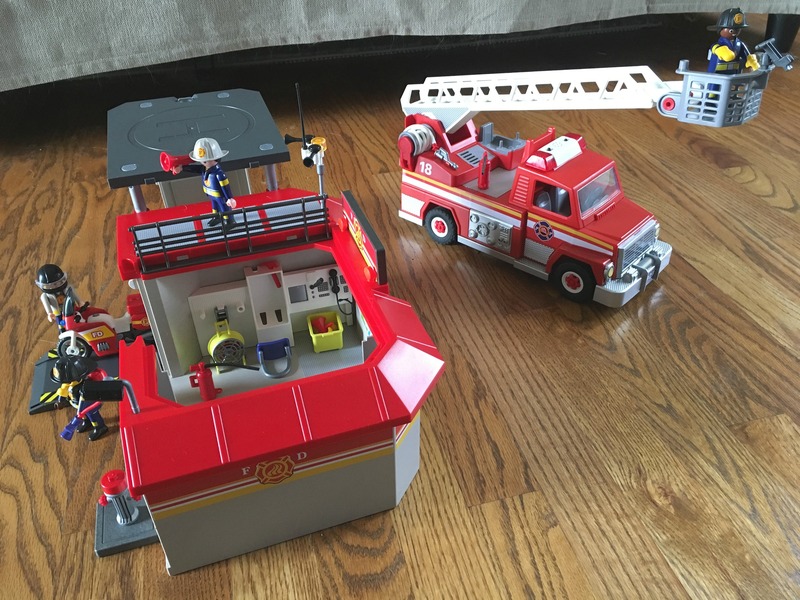 I grabbed this super cute PLAYMOBIL Take Along Fire Station and PLAYMOBIL Rescue Ladder Unit because I knew they would go great together. P’Diddy’s eyes opened wide when I brought them in the house. He was instantly off the electronics and on to the floor to play. 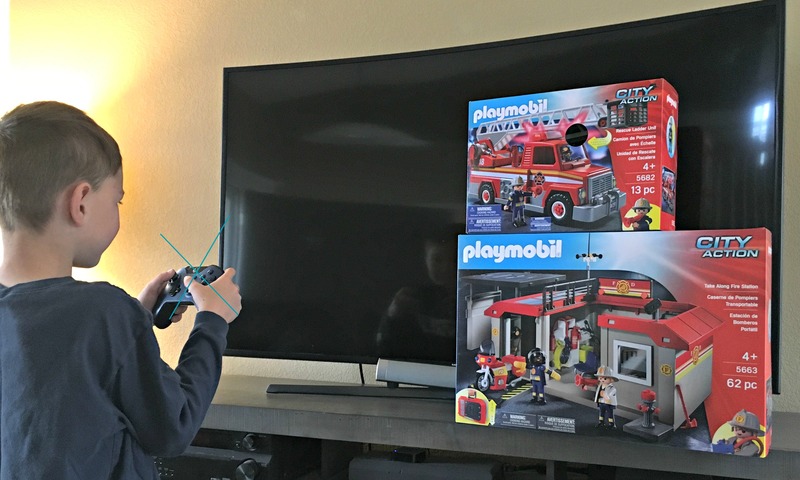 It took him a bit of time just to open the packages, follow the directions, put on all the stickers, and arrange the pieces where they belong. He would ask me questions – “Mom should this guy go over there?” or “Mom do firemen uses axes?” Good conversation with my children is priceless to me. I try to etch these moments in my head because I know they won’t last forever. Setting everything up was only half the fun! 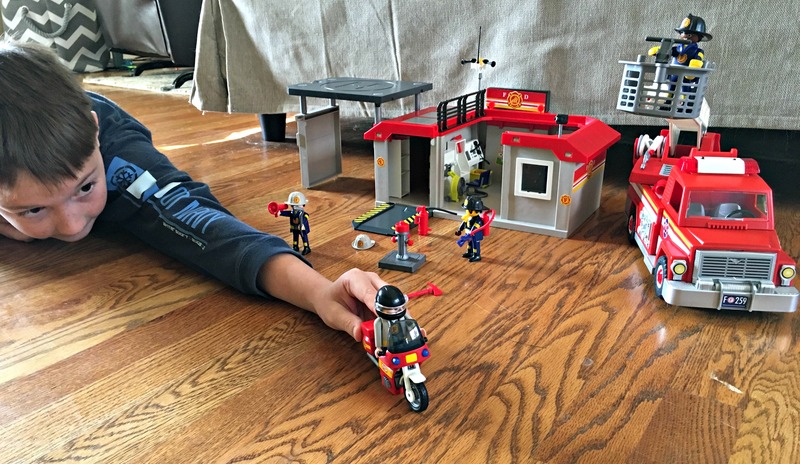 I was impressed with how much The PLAYMOBIL sets were realistic, down to fine details – the control desk where the calls come in, to the bunk beds to sleep in, to the helicopter pad on top. Even the fire hose on the truck really winds up! One of his favorite pieces was the fireman on the motorcycle. The fireman wore his helmet with the visor down (he could move it back up!) and could vroom vroom around the room, checking to make sure no fires had started, and then head back to the station and park in the garage. Ideas are endless for the storylines the kids will come up with. PLAYMOBIL has a many worlds your child can get lost in. Tomorrow P’Diddy may be back in the Jurassic period playing with the dinosaurs and running from the T-Rex. Each day is a new adventure! 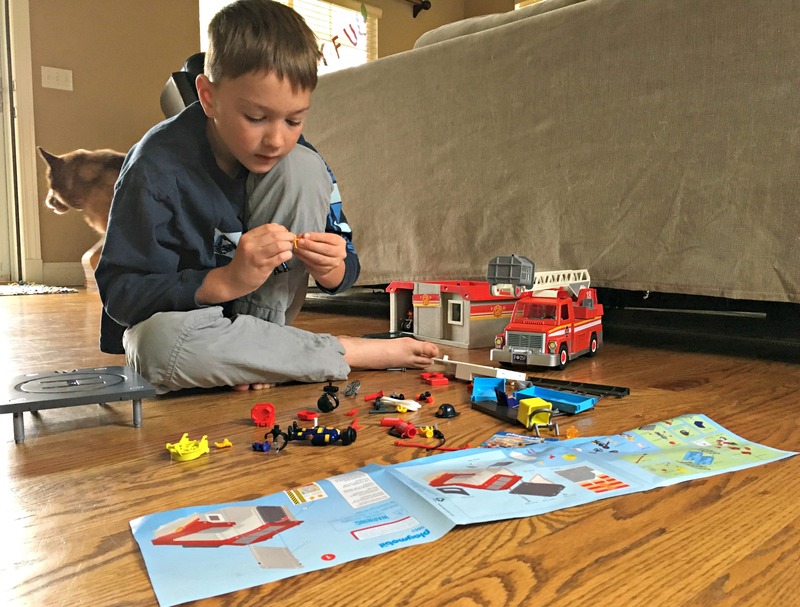 How do you encourage more play and less electronics? Great advice. Not just for kids, we all need to step away from the screens. I had so much fun growing up and that was the vcr era. Our imaginations and nature was all we needed. Family time has declined too. Time to go back to some of the old ways and do family activities that don't involve electronics.